Explore ancient Giza and old Cairo on an affordable and hassle-free all-day tour. After a convenient hotel pickup, travel by air-conditioned private vehicle with an informative guide to Giza and visit the Great Pyramids and the Sphinx. Tour one of Cairo’s oldest Coptic churches, check out the Citadel, and shop for brassware, copper, leather and other fine products at the centuries-old Khan El Khalili Bazaar. 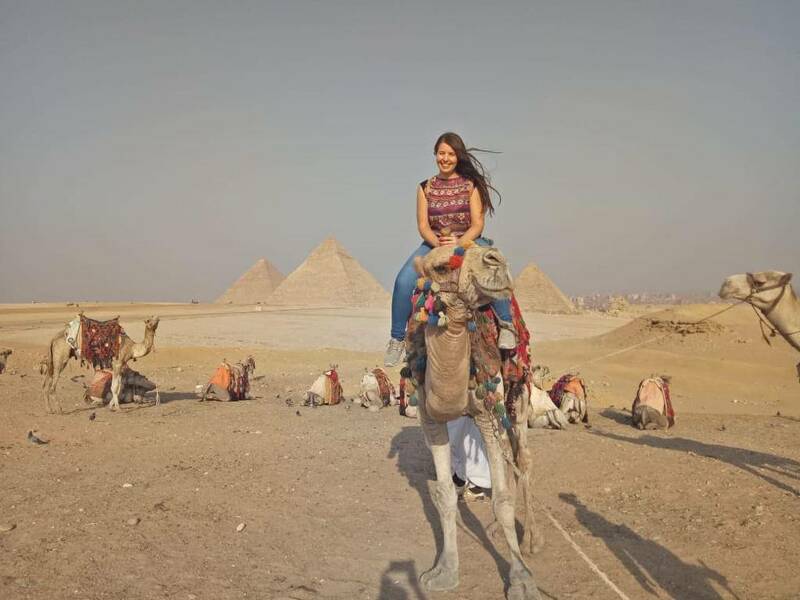 Starts At 8:00 am Pickup from your hotel in Cairo by our expert tour guide then you will be transferred to Giza City by Private A/C Vehicle to Start your day Tour Visiting Giza Pyramids where you see the Great Pyramids - Cheops, Chephren & Mykerinos. Cheops is the most colossal ever built. Next is the Valley Temple where the dead body was mummified it`s also the same place where you can get a close-up look at the Sphinx - a huge funeral complex guarded by the legendary lion body with the face of king Chephren. Then visiting the Old Cairo that known as Christian Coptic Cairo which is Among the most important locations visited by the Holy Family where the spiritual impact of their presence is most felt still; though their stay was brief, for the Governor of what was then Fustat enraged by the tumbling down of idols at Jesus' approach sought to kill the Child. But they took shelter from his wrath in a cave above which, in later years, the Church of Abu Serga (St Sergious) was built. This and the whole area of the Fort of Babylon is a destination of pilgrimage not only for the Egyptians but for Christians from around the world. An air of piety and devotion pervades the whole district there. Also There you will be able to visit and Enter the Church of Abu-Sergah and St. Barbara, the hanging church, and the old Jewish synagogue - Ben Ezra Synagogue. End your day tour by a visit to Khan El Khalili Bazaars. Shops in this district are legendary for fine brassware, copper, perfumes, leather, silver, gold, antiques etc. At the end of the day, we will transfer you back to your hotel.